Christmas is coming soon! I love the holidays! My husband, Chas, falls more on the bah humbug side of holidays, but not me! I'm little nervous about putting up a Christmas tree this year with a toddler. I have a feeling it is going to be a lot of training, redirection, and moving ornaments higher up the tree every day. Noah will be 16 months this Christmas and much more interested in what's going on. Last year was sweet, but he didn't have a clue. 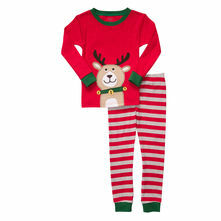 We'll carry on a tradition from my childhood, where he'll get pajamas on Christmas Eve. I bought these adorable reindeer ones from Carter's already. Here's a glimpse into some of the presents were thinking about getting him. He won't get all of this of course, we'd like to keep him from being too spoiled, but I may suggest some of these things to his grandparents as well! Okay, I admit, I'm in love with Fisher Price, particularly Little People. I played with them when I was a kid and I think they are great toys! We bought him the Little People Nativity last year, so I really want to get the Wise Men as an add on this year. I think we're pretty decided on the Little Tikes Sports Climber for the backyard. Noah is in love with the Biscuit books right now. He really loves dogs. So I think we'll get him a Biscuit book. I think books are one of the greatest gifts you can give to a kid. So he'll definitely be getting a couple for Christmas. 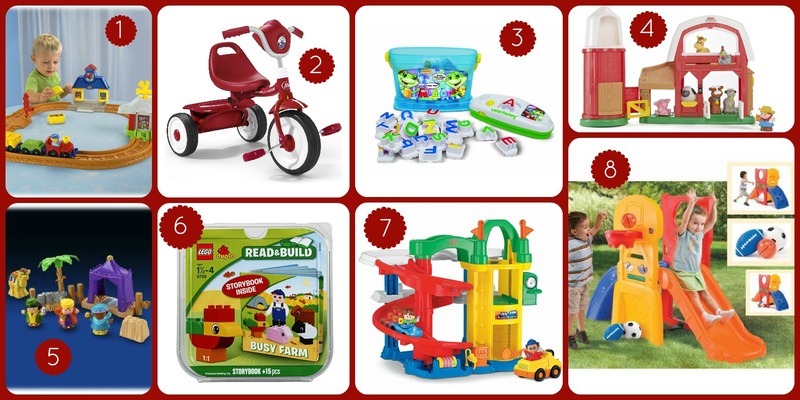 What are your little ones getting for Christmas presents? Great post! 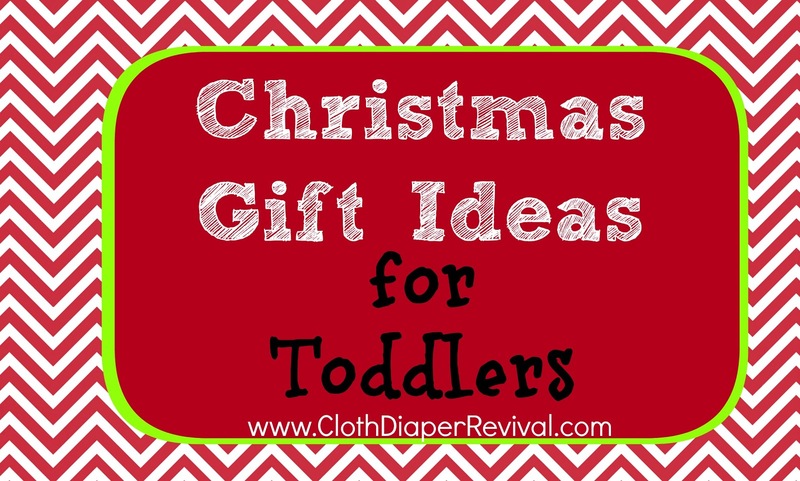 We've been needing ideas for our 14 month old. If you can't find the Tonka Cars, I recommend the B. Wheeee-ls! Soft Cars 4-pk, you can find them at Target. ours seem to be getting lots of blocks and books this year with a few clothes thrown in. The best time to get the christmas little people stuff is after the season when they're on sale through their website. I think I got mine 50% off. I got them out the other day. Man the girls LOVE them (ages 4 and 1). The barn is a great one. wheelies are going into my 1 year olds' stocking. I did a house party with the 'read and build' that's really cool for around a 2-3 year old that can't read yet but you need to sit still for a book/practice sitting still. lol. Great ideas! One Granddaughter Lalaloopsy doll and Lalaloopsy pajamas. Other Granddaughter Little People Princess Songs Castle with accessories. Of course stockings filled with treats and little toys. 24 AIO cloth diapers, sprayer, liners and ointment for third Granddaughter due in Jan. Clothes and disposables for Grandson due in Jan. I am sure she will change her mind about diapers when she sees the cloth ones. Then I will have more shopping to do. Wow! What a generous grandmother! I would love to recieve a full stash for Christmas! How exciting!